Over the last two years, nine million solar panels have been laid out across the California desert, constituting the world’s largest solar farm at nine and a half square miles in total. 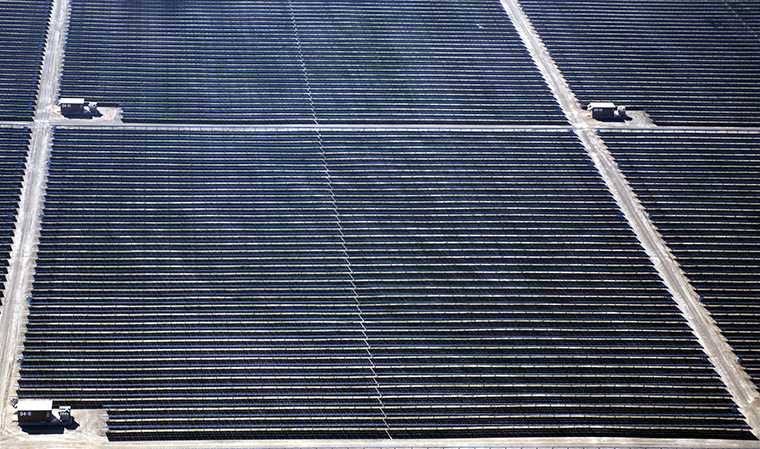 The Topaz Solar Farm, owned by First Solar, can draw enough natural energy to replace approximately 400,000 tonnes of CO2 emissions, equivalent to pulling 73,000 cars from the road. To put this into perspective, imagine an average sized suburb where nobody drove. 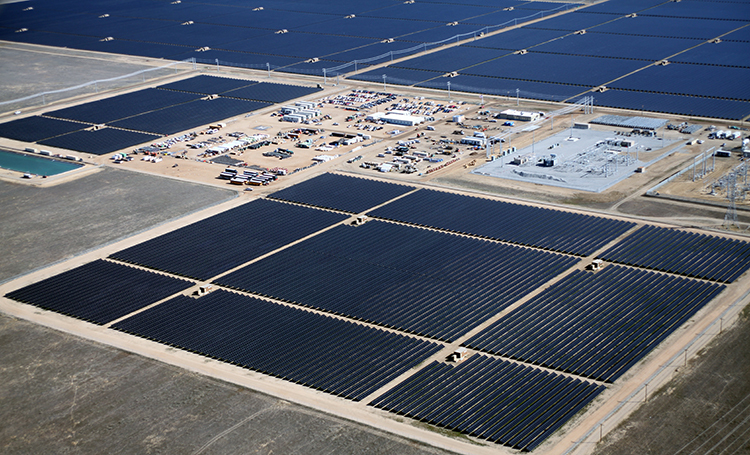 According to First Solar, the solar farm harbours enough energy to power 160,000 homes. This 500-plus megawatt solar farm is located on the Carrizo Plain, in a town called San Luis Obispo County. With a population of approximately 276,000 people, the solar farm could support a majority of the town’s electricity. In total, the project cost $2.5 billion. Unlike the Ivanpah Solar Power Facility located in the Mojave Desert, which uses mirrors to direct sunlight, Topaz uses photovoltaic solar panels. According to a study by The Brattle Group and California Polytechnic State University located in San Luis Obispo, Topaz is estimated to produce an extra $417 million for the local economy due to new construction jobs, economic output for local suppliers, sales taxes and up to $400,000 a year in property tax revenues. Pacific Gas and Electric are planning on buying the electricity that is generated by the farm. Although Topaz is currently the largest solar farm in the world, Solar Star is set to launch their 580 megawatt solar farm in 2015. Both solar farms are under the ownership of MidAmerican Solar, who deserves a pat on the back for what will soon be the world’s largest two solar farms. The state of California has set forth a goal of supplying 33 per cent of home electricity from renewable resources by 2020.